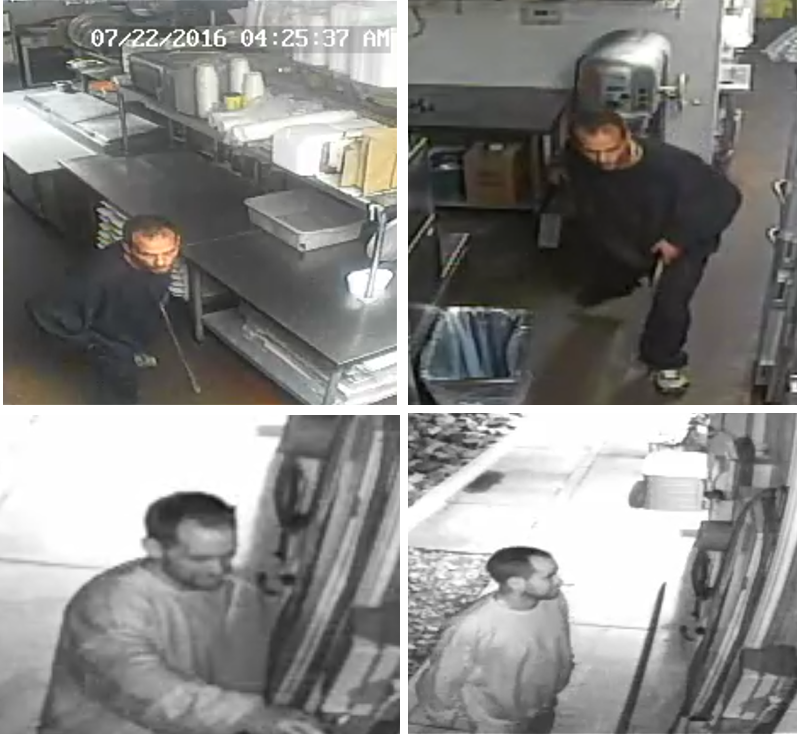 On Friday [July 22, 2016] at 4:30AM we had a break-in at Anthony's II. Nothing was stolen and the only damage was to the back door. Please help us identify this man in our surveillance footage -- if you have any information that could help this investigation, please contact Thornton Police Department at 720-977-5150. Thank You!